On 26.02.2018, the World Cement Association announced the appointment of Bernard Mathieu as Director of its Climate Programme. In this role, he will lead the WCA CEOs’ Global Forum on Climate Change that aims to draft the World Cement Association Roadmap on Climate Change. The forum will take place on 27.06.-28.06.2018 in Paris/France. Bernard Mathieu has 22 years of experience in the cement, concrete and aggregate business, holding a range of positions related to sustainability, most recently at LafargeHolcim where he was Head of Sustainable Development. Before that, Mr. Mathieu was HeidelbergCement’s Head of Global Environmental Sustainability, and has also represented the cement industry on climate issues at the conferences of the UN Framework Convention on Climate Change. The WCA Global Forum on Climate Change will bring together CEOs and leaders of the association’s member companies as well as external stakeholders to address the environmental challenges the cement industry faces. 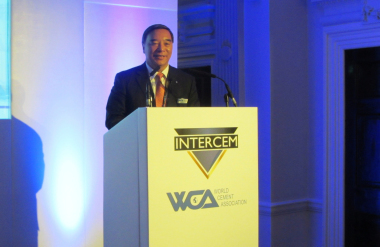 The Climate Programme forms part of WCA’s wider World Cement Association Sustainability Effort (WCASE), in which it works with members and other sector organisations and associations to share best practice and collaboratively raise standards on sustainability across the global industry.